Organize and protect media without cases. Permanent adhesive adheres to most surfaces. Fold-over flap helps prevent media from falling out. 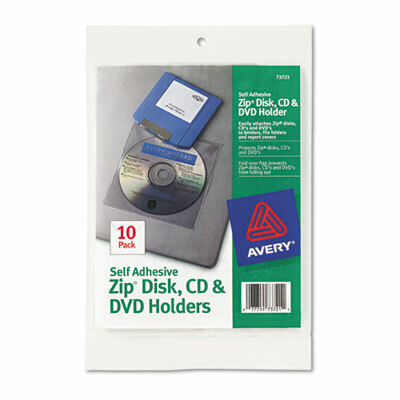 Organize and protect your CDs, DVDs and Zip disks with these media pockets. Permanent adhesive backing adheres to most surfaces. Fold-over flap helps prevent media from falling out.